bridal shower games ideas continue. Mystery Object. Place objects into cloth bags and give guests a set amount of time (15-20 seconds) to guess what is in each bag. You can use typical household items and some other fun objects as well. Wedding Bingo. This fun and easy game can be played as an icebreaker or can be used as a great form of entertainment while the bride is opening her gifts. To add a unique twist to this traditional party game, give blank cards and have guests fill them out with gifts they think the bride will receive or wedding related words that they think the bride will say throughout the afternoon or evening. Award prizes to the first few people who achieve BINGO on their own customized cards. Pin the Bow tie on the Groom. Draw or create a life-sized replica of the groom and watch as your blindfolded guests try to pin the bow tie on the wedding day tuxedo. 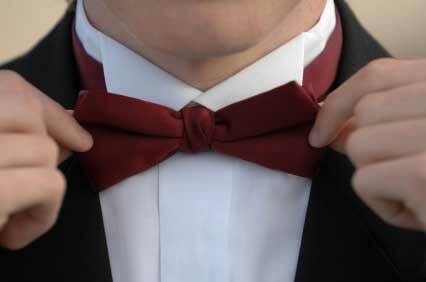 You could use variants such as “pin the wedding ring on the finger”, or “pin the boutonniere on the lapel”. Wedding Charades or Pictionary. Everyone will enjoy a little fun and hilarity when guests are challenged to test their acting and artistic abilities. You can include a variety of categories such as songs, books, movies, or food related to weddings, brides, and honeymoons. Feel free to create your own version or choose one of the many printable options available. Famous Couples. Create a list consisting of one half of a famous couple, either fictional or real, and then test guests knowledge by asking them to complete the pair. You can include couples such as Fred and Wilma, Ward and June, Ricky and Lucy, Cliff and Clair Huxtable, or Homer and Marge Simpson. Again, to save time and effort, you can find a printable version of this game for a reasonable cost. There are plenty bridal shower games ideas to choose from, and they do not have to be boring and tiresome. By making the right choice for your crowd and adding your own unique touch, you can be sure that everyone will have fun and enjoy the celebration. More to read: check out our growing collection of printable bridal shower games.